Kids can be tough sometimes. They can get moody and stubborn, but did you know that dogs can have those qualities too? They say huskies can get really stubborn as seen in this video, as this adorable husky throws a hilarious temper tantrum! They’re very smart but they have low motivation to please their owners. Zeus loves playing in the water in the bathtub and wants the water turned on. Even though it’s time for his walk he howls in protest because he wants to play in the water! No one should miss this hilarious video! Have you ever seen something like this? 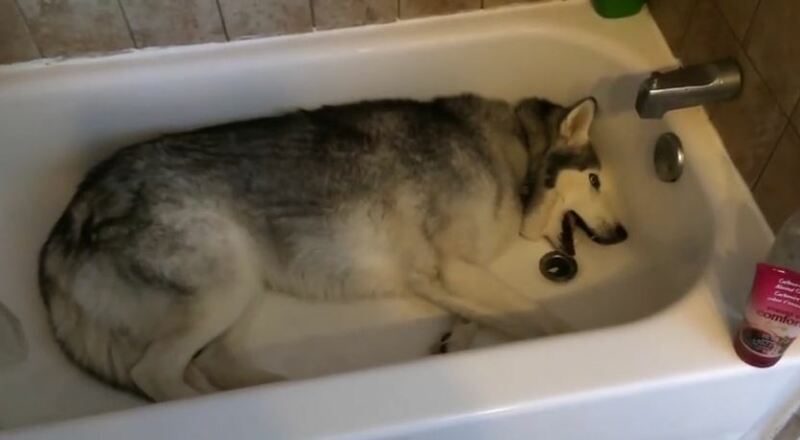 Usually animals do not like having baths or water in general and like having walks instead, but it is the exact opposite for this dog! It is so funny how this husky just howls in protest for doing something he doesn’t like. He really is just like a little child, adorable yet so stubborn!